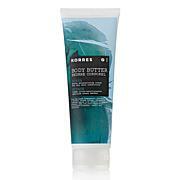 Moisturize the look of skin with this set of two delightfully-scented body butters from Korres. Ingredients: Aqua/Water/Eau, Cetearyl Alcohol, Prunus Amygdalus Dulcis (Sweet Almond) Oil, Glycerin, Coco-Caprylate/Caprate, Dicaprylyl Carbonate, Helianthus Annuus (Sunflower) Seed Oil, Dicaprylyl Ether, Squalane, Butyrospermum Parkii (Shea Butter), Persea Gratissima (Avocado) Oil, Fragrance (Parfum), Cetearyl Glucoside, Alcohol, Ascorbic Acid, Ascorbyl Palmitate, Benzyl Alcohol, Ceteareth-33,Cinnamyl Alcohol, Citric Acid, Citronellol, Geraniol, Hexyl Cinnamal, Hydroxyisohexyl 3-Cyclohexene Carboxaldehyde, Imidazolidinyl Urea, Lactic Acid, Limonene, PEG-8, PEG-40 Hydrogenated Castor Oil, Phenoxyethanol, Potassium Sorbate, Pyrus Cydonia Fruit Extract, Tocopherol, Vitis Vinifera (Grape) Seed Extract, Xanthan Gum. Ingredients: Aqua/Water/Eau, Cetearyl Alcohol, Prunus Amygdalus Dulcis (Sweet Almond) Oil, Glycerin, Coco-Caprylate/Caprate, Dicaprylyl Carbonate, Helianthus Annuus (Sunflower) Seed Oil, Dicaprylyl Ether, Squalane, Butyrospermum Parkii (Shea Butter), Persea Gratissima (Avocado) Oil, Fragrance (Parfum), Cetearyl Glucoside, Alcohol, Ascorbic Acid, Ascorbyl Palmitate, Benzyl Alcohol, Benzyl Salicylate, Ceteareth-33, Citric Acid, Imidazolidinyl Urea, Lactic Acid, Limonene, Linalool, PEG-8, PEG-40 Hydrogenated Castor Oil, Phenoxyethanol, Potassium Sorbate, Pyrus Cydonia Fruit Extract, Tocopherol, Vitis Vinifera (Grape) Seed Extract, Xanthan Gum. I love the duo. Long lasting scent and not too powerful. I have had many many compliments. Would highly recommend this product. As usual korrres has awesome products. Just did not like it. It felt greasy on my skin and the fragrances were very weak at best. Returned. Korres Vanilla Cherry Body Butter - 1.69 fl. oz.